I had my 14 week ultrasound today and found out that I am having identical twins.. 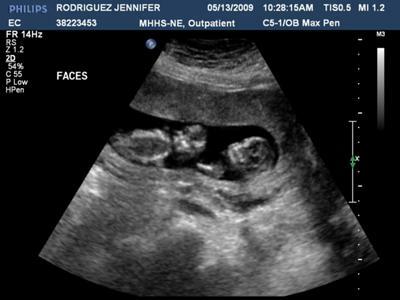 Currently we can not find a membrane between the twins so they have the signs of being mono/mono.. Will have another ultrasound next week to verify. Congrats! That is a really good shot! I am not far from you, but with fraternals (girl and boy). Let us know what they find next week!